What is Network? Explain different types of Networks. A system of interconnected computers and computer peripherals such as printers is called network. This interconnection among computers facilities information sharing among many computers may connect to each other by either wired or wireless media. Exchange of information by means of E-mail and File transfer. Information sharing by using web or internet. 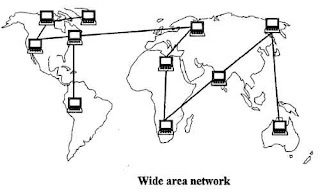 Generally, networks are classified based on geographical span. A network can be as small as distance between your mobile phone and its Bluetooth headphone and as large as the Internets its self covering the whole geographical world. 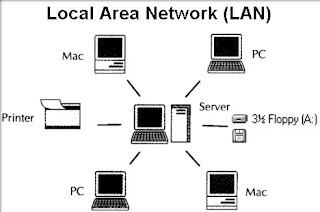 A computer network span inside a building and operated single administrator system is generally termed as local area network. Usually, LAN covers an organization office, school, college, universities. LAN Provides users either Ethernet or Token ring technology. Ethernet is mostly employed LAN Technology and uses star topology while token ring rarely seen. 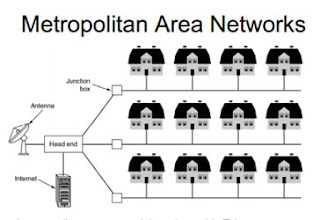 The Metropolitan Area Network (MAN) is large scale network that connects multiple corporate MAN's together.MAN's usually are not owned by a single organization; their communication devices and equipment are usually maintained by a group or single network provider that sells its networking services to corporate customers. The MAN's generally expands throughout a city such as cable T.V network. It can in the form of Ethernet, Token ring ATM or Fiber distributed data inter phases. As the name suggest, the WAN covers a wise are which may span across provinces of a country or entire world. WAN May use advanced technology such as Asynchronous Transfer Mode (ATM), Frame relay, and synchronous optical network (SONET). WAN may be managed by multiple administrators. 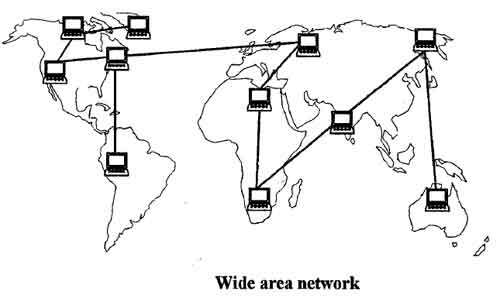 Internet is the best example for Wide Area Network. Campus Area Network (CAN), example, network that connects different departments in a company.